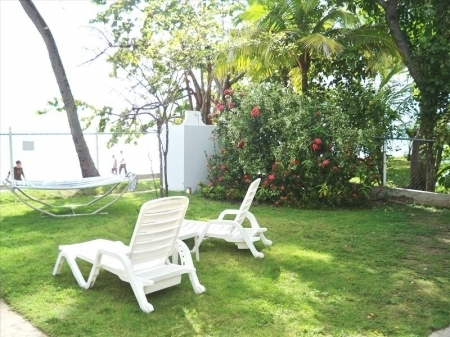 3 or 6 BR Villa - Right on the Caribbean Beachfront - Wifi. 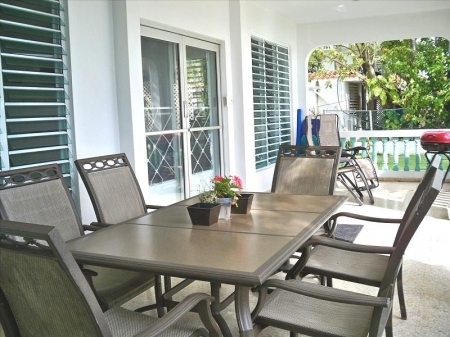 Casa Tamara, our Rincon, Puerto Rico vacation rental home has 2 independent holiday rental units with 3 bedrooms in each, which can be rented separately or together for a 6 bedroom rental home in Rincon. 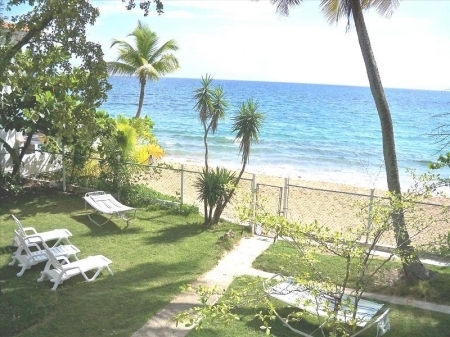 Just open the garden gate and you will be on an 8 mile stretch of beautiful sandy beach, with calm waters, known as the best swimming beach in Rincon. The living rooms open on to a covered patio. 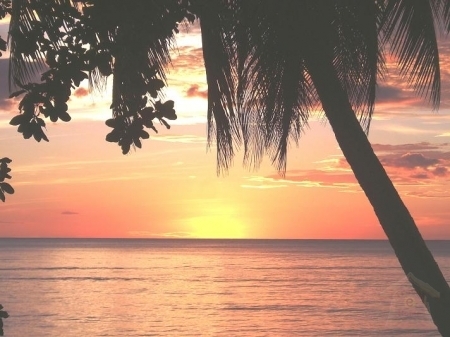 We dine on the patio, facing west - The Caribbean - and watch the fabulous sunsets. 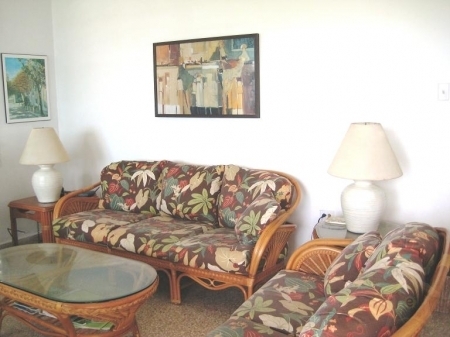 We have WI-FI, Satellite TV, air conditioning and much more. The downstairs unit has 3BR and 3 full bathrooms. The upstairs unit has 3 bedrooms, one of which is exceptionally large and has a sofabed, and 2 full bathrooms. Each unit has a Master Bedroom with its own TV. The other bedrooms have 2 twin beds in each, which can be made up as a king if you want. Every bedroom has air conditioning as well as a ceiling fans. 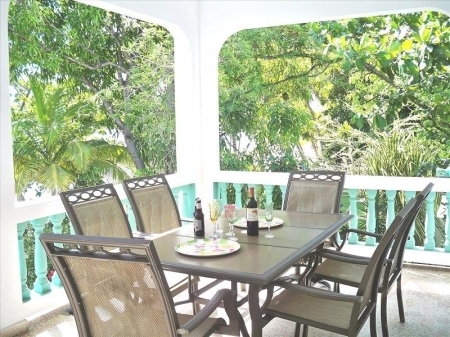 Each of our Rincon home rental has a living room, dining area and fully equipped kitchen. There is Satellite TV, DVD, WiFi, CD in the living room, and an additional TV in each Master Bedroom. Our glass living room walls open on to a covered patio where you can have your morning coffee barbecue dinner, watch the dolphins and whales pass by in season and marvel at the famous Rincon sunsets. Each unit has a washing machine and dryer, a barbeque, and it\'s own private driveway for off street parking. We have an outdoor shower to wash off the sand before coming into this Rincon beachfront home. We provide all linens, towels, beach towels, lounges and beach chairs. 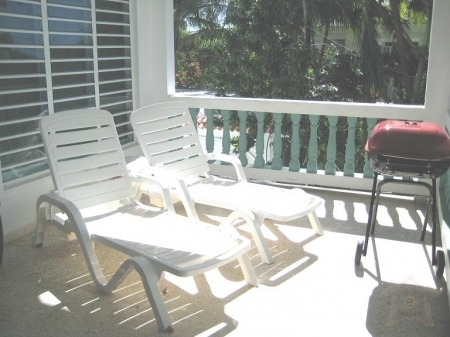 Casa Tamara, our Rincon beach house rental is ideal for a family vacation, for a couple or a group of friends and great for a family reunion if you rent both units, which would give you 6 bedrooms and 5 full bathrooms. And if you need even more space, you can rent our other holiday rental house, which has 2 units with 2 bedrooms in each. PAYMENT: A deposit of 25% is required at the time of reservation. The balance is due three (3) months prior to occupancy, (4) months prior for holiday periods. CANCELLATION: Should you wish to cancel this reservation, for any reason, notice of cancellation must be made in writing. We will do our best to re-rent the property. If a cancellation notice is received more than 60 days prior to occupancy date, and the property is re-rented, 10% of the total rental fee will be deducted as a service fee and the balance of all payments will be refunded. If the property is not re-rented, all payments will be retained up to the full amount of the rental. If a cancellation notice is received less than 60 days prior to occupancy date, all payments will be retained up to the full amount of the rental. These terms do not apply to holiday weeks. If you are concerned about the possibility of having to cancel, we recommend that you purchase travel insurance. You can call Insure My Trip at 800-487-4722 to find out about travel insurance options.